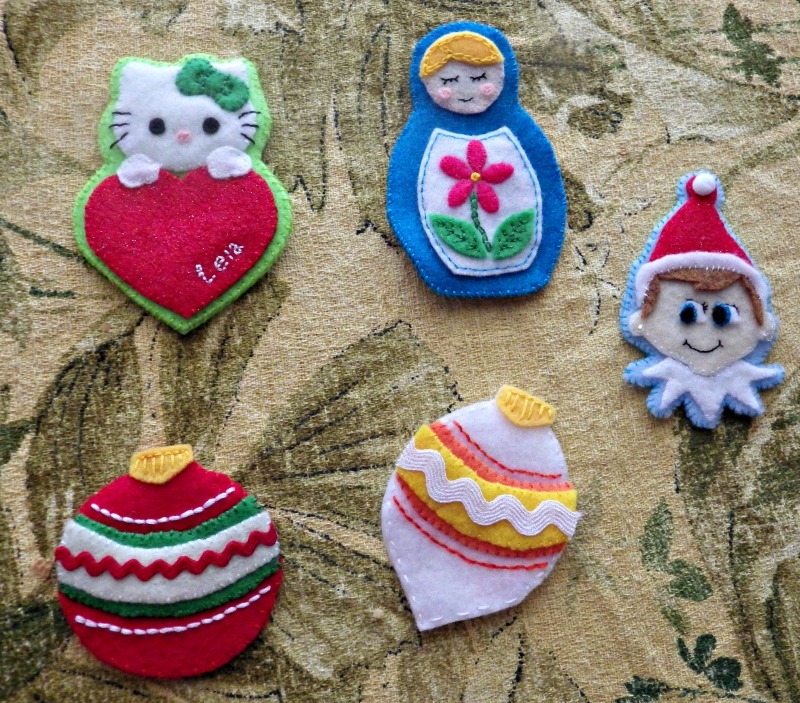 Here is my second offering of handmade felt ornaments! Out of this batch, I am most proud of my Elf on the Shelf! 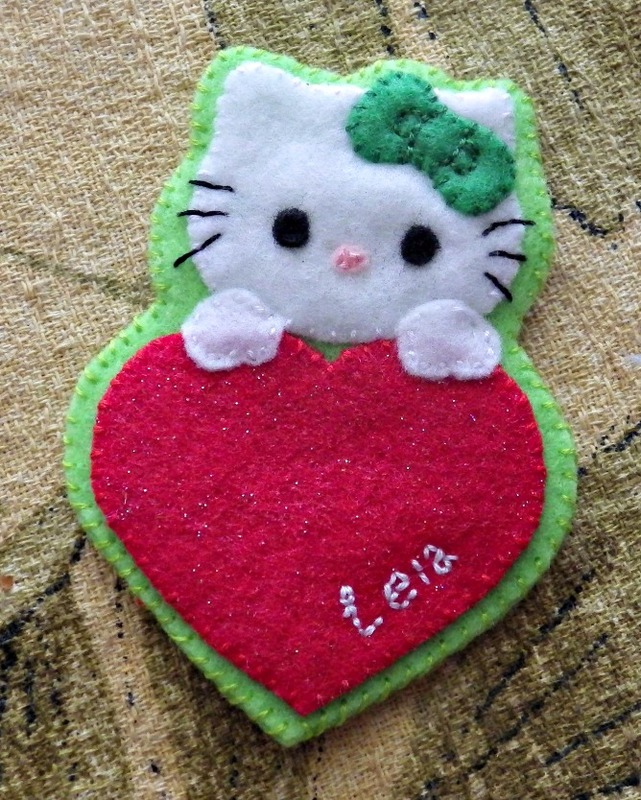 First up however, we have a Hello Kitty for my middle daughter – Leia. I chose this one because her initials are L.O.V.E and she is a Hello Kitty fanatic 🙂 I got the image here: Hello Kitty Coloring Pages and simply resized them within a word document so that I would have enough copies of the image to make the pieces I needed. I know Hello Kitty’s bow is usually red, but since Leia loves the color green, I chose to further make this hers by making it green. This is my favourite! It is far from perfect, but I am so very pleased with it! I found it hard to find decent looking clip art online, so when I was in Joanns the other day, I grabbed a small candy container, scanned it into my computer and made my own template from that. Once again I used a word document to size the pictures the way I wanted, and then cut out the appropriate pieces. 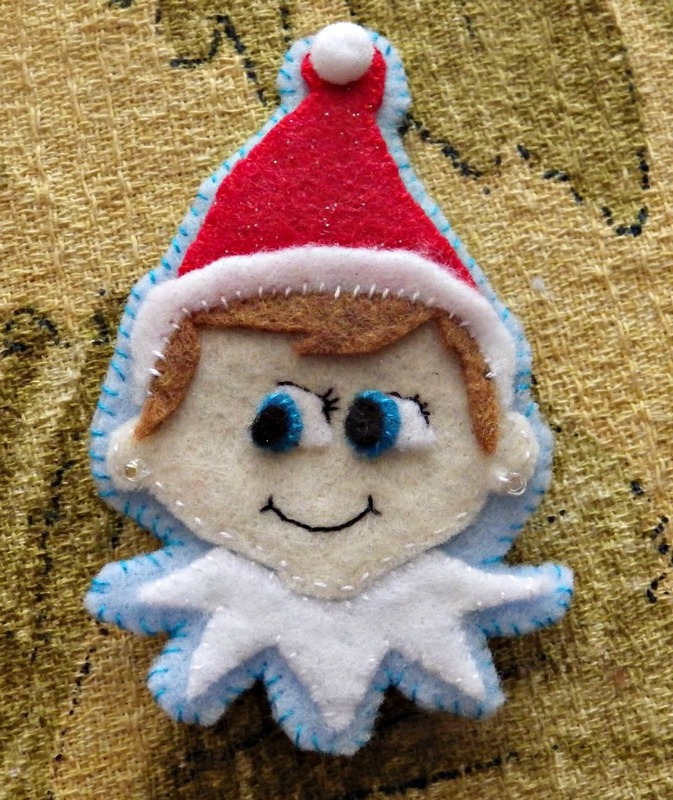 No, does it look like a perfect representation of an elf on the shelf? No… it’s eyes are too close for one thing, but my girls think that it looks like our Judy Elf, which is all that I was aiming for!! The last two are two traditional(ish) Christmas tree ornaments. Like the patterns creator I decided to keep things simple with them, and I think they are lovely and festive! 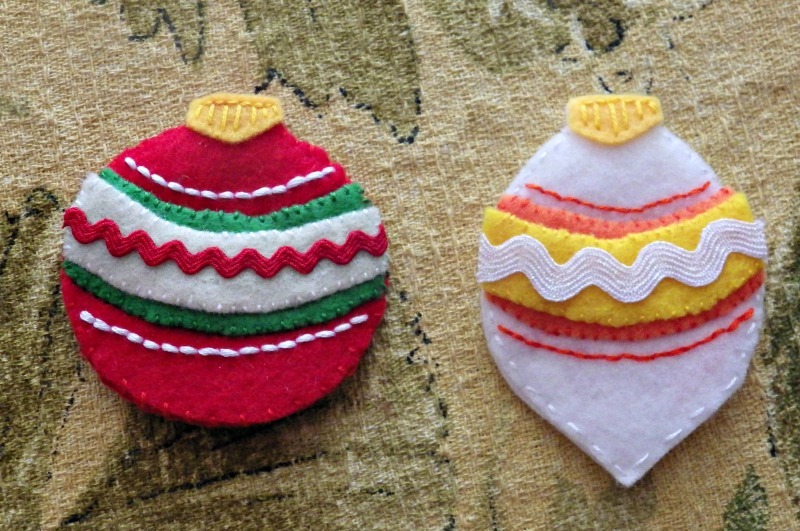 I got the pattern for them here: Vintage Felt Baubles found at Bugs and Fishes. 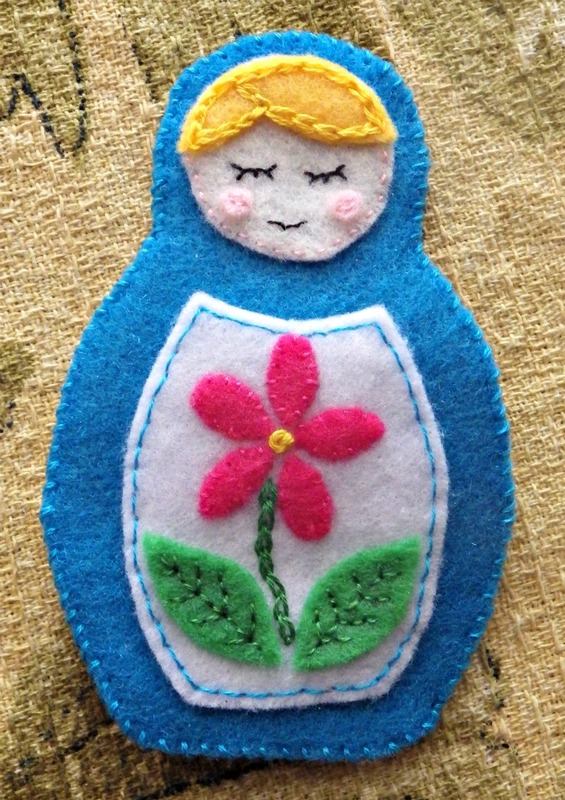 I am loving a lot of her patterns – so go and show her some love! I searched the mighty internets searching for a pattern to make a tree for our Advent tree. Eventually, not happy with just a plain triangle and not liking some of the others that I had seen, I decided to make my own. 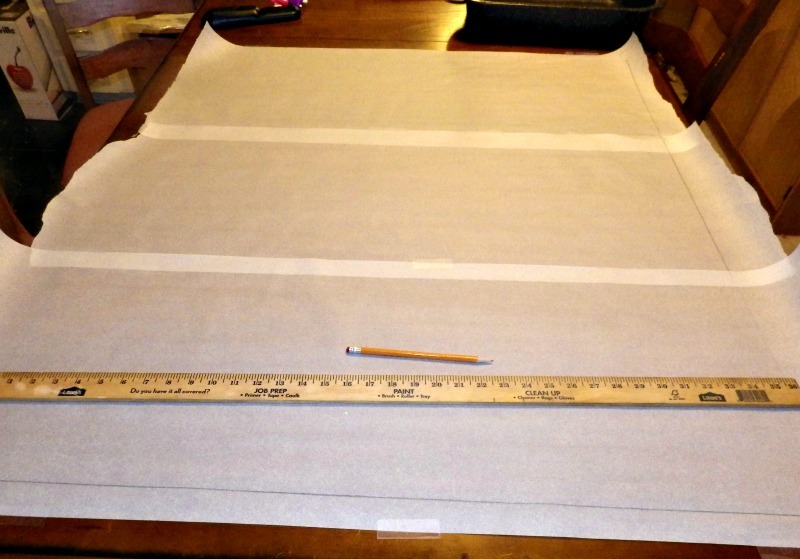 I started off with three peices of parchment paper taped to each other and my kitchen table. After measuring the wall, I decided to make the tree 36 inches wide and 40 inches tall, not including the star at the top or the trunk at the bottom. 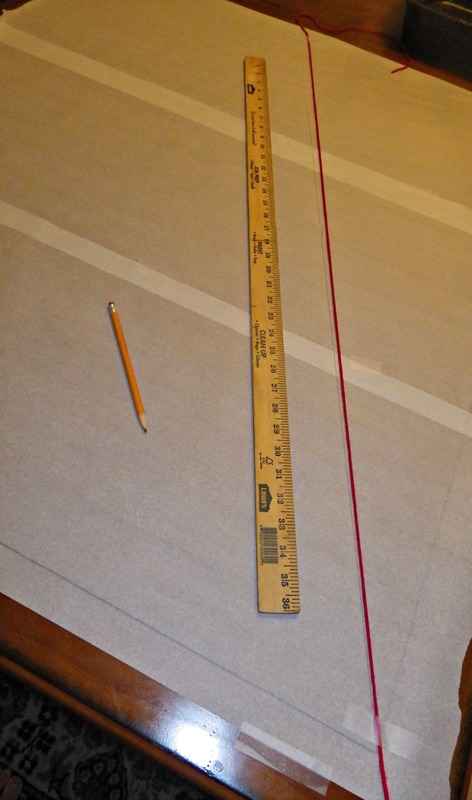 Since my wooden ruler only measured 36 inches, I used a piece of red yarn to help make sure I would keep the line straight when I moved the ruler. It worked out very well!! There you have it! 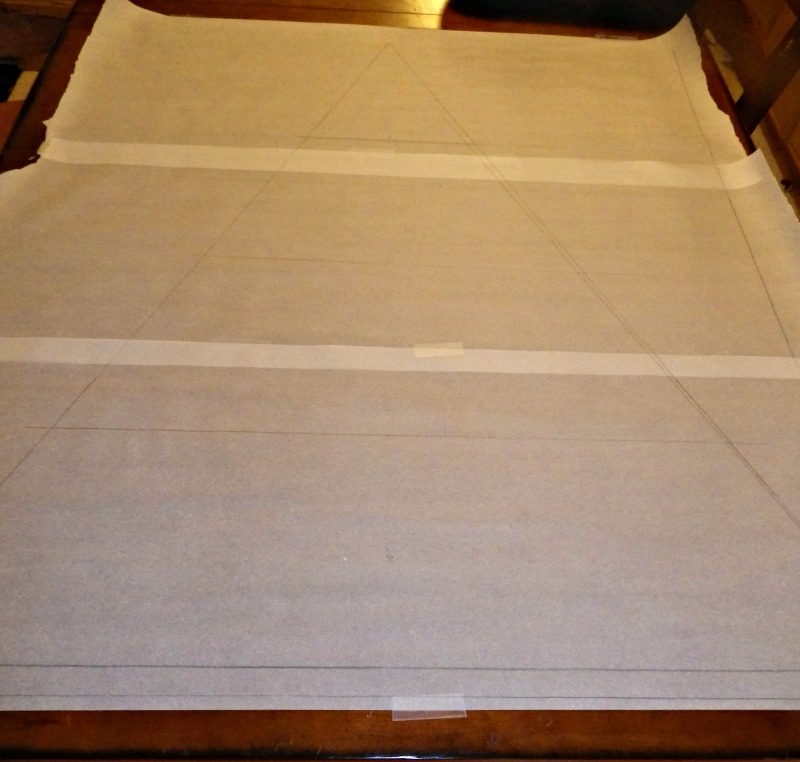 A (mostly) equal triangle, that has also been sectioned every 10 inches (hence the decision to make it 40 inches tall) – leaving four 10 inch sections. 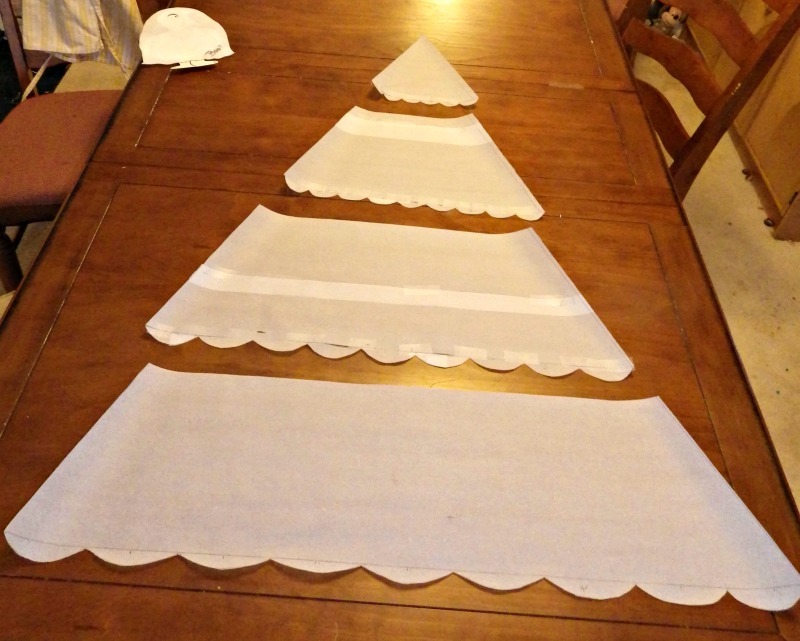 Knowing that when I cut out the pieces of the tree they would not have any over lap, and wanting the tree to have a bit of bounce and not be just a triangle on the wall, I decided to make bounces to go on the bottom. The bottom level (not shown), I added it at the bottom of the pattern. The bounces there were each four inches long. These were drawn free hand, so they aren’t even, but I wasn’t looking for perfection. 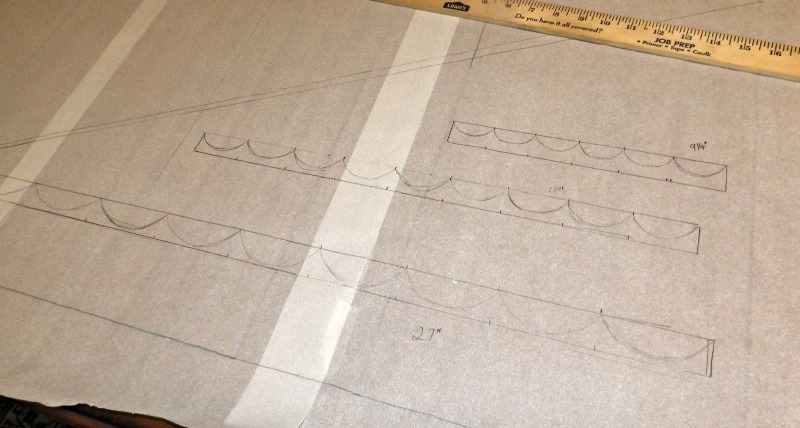 The pattern is all complete once the bounces have been taped to the bottom of the pattern pieces! Coming up next: Cutting out the pattern pieces and sewing it all together.